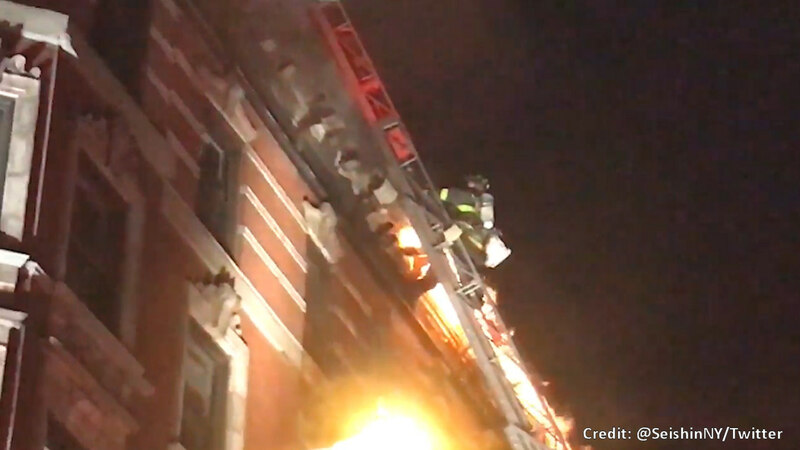 WEST VILLAGE, Manhattan (WABC) -- A two-alarm fire that broke out inside a six-story building in the West Village on Wednesday night, flared up again. It started just after 10 p.m. at 24 Charles St., in a Laundromat and spread up a shaft. The fire was put out by 11:30 p.m., but rekindled Thursday morning. The New York City Fire Department returned to the scene. No injuries were reported. Ten people were left homeless. The building consists of 18 residential apartments and the Laundromat on the first floor.